After a few weeks of constant holiday travel a weekend at home was just what I needed. 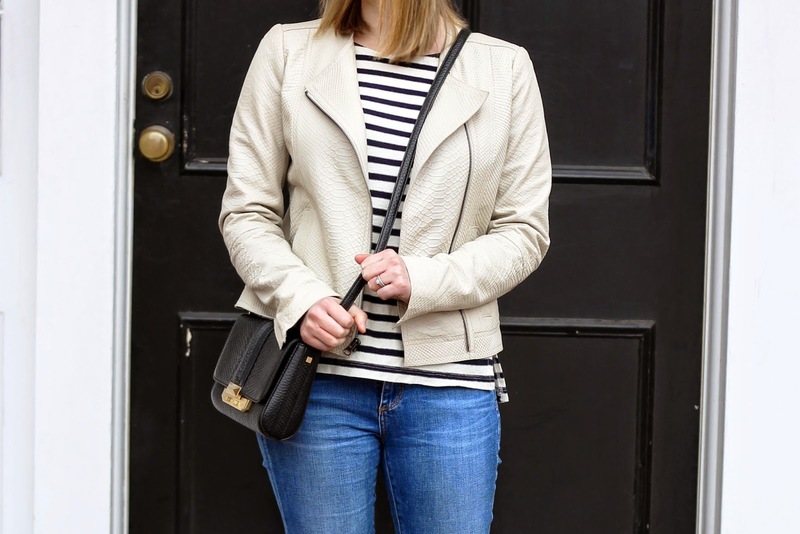 I slept in, ran a few errands, and pretty much lived in this leather jacket. I grabbed it on major sale while in Jackson for Christmas. 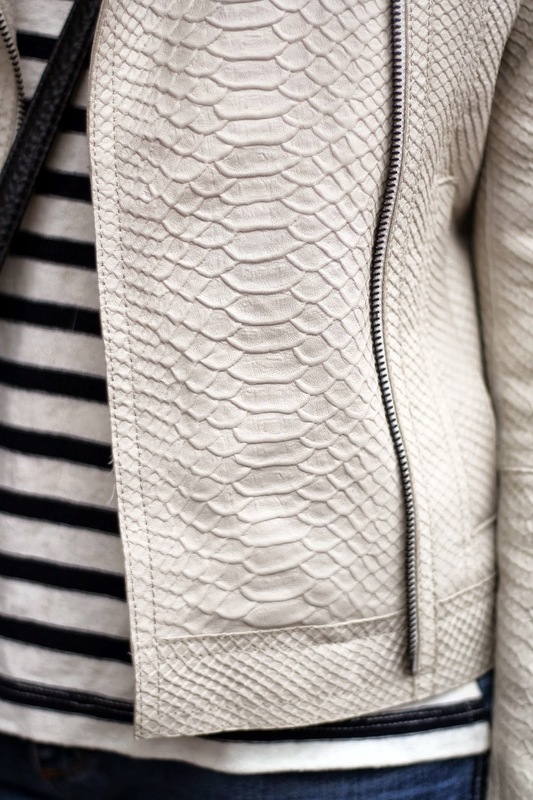 I've been searching for a leather jacket for years, and even though I had always envisioned a black motorcycle jacket this cream embossed one seemed to speak to me. It will be perfect for the cool springs we have in central Virginia. Until then, I'm saving it for the warmer days when my down overcoat is not needed.